Do you or any of your friends have a teenage daughter interested in learning about life in another country? 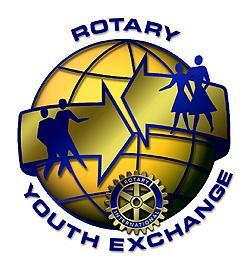 If so, check out this short term Youth Exchange opportunity. 18 year old Clarissa Hashimoto from Los Mochis, Sinaloa, in Mexico would like to do a short-term summer exchange with a girl from District 6440. Clarissa is ready to come to Illinois anytime between mid May and mid July. She will enter the University of Guadalajara on July 25th. She has a brother, Francisco, 21 years old. Her hobbies are ballet, tennis, and sports. Clarissa is available to come here for a 4 or 5 week period or as long as you wish within the time period mid May through mid July. After staying with a local family, their daughter would go to Clarisa's home for four to five weeks. A one way exchange is also possible if hosts can't send their daughter on such late notice. Contact Rick Kuehn at rickkuehn_stye@juno.com for more information.